Want to become an officer in IAF and looking for AFCAT 1 2014 notification. Check out how to apply, eligibility criteria, courses offered and other details as laid in AFCAT 01/2014 notification here. Indian Air Force has released the notification for ground duty, technical, flying and administrative brances today officially. Indian Air Force is the best career option for young and talented men of India. Air Force Common Admission Test (AFCAT) is the one and only entrance exam which is being held by IAF to recruit eligible candidates as commissioned for most of the courses. 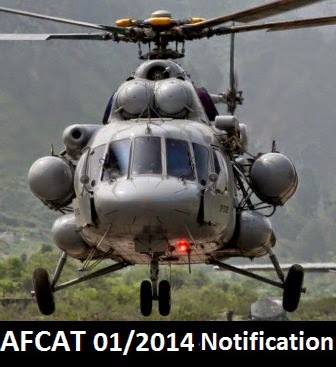 There are two notifications offered i.e., AFCAT 01/2014 for men and AFCAT 01/2014 for women. 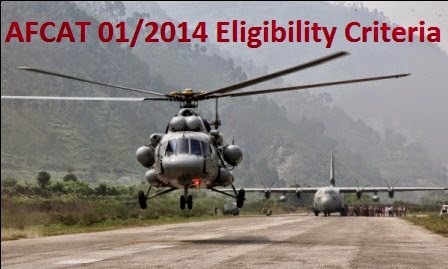 Let us see the AFCAT 01/2014 notification details here. There are plenty of courses to choose for men candidates through AFCAT 1 2014 notification. 15 Short Service Commission (15 SSC) course of flying branch is offered for men candidates who want to become pilots in IAF. 86 Aeronautical Engineers (86 AEC) course and 58 Short Service Commission (58 SSC) course are offered to engineering graduates in technical branch of IAF. 137 Ground Duty Officers (137 GDOC) course and 30 Short Service Commission (30 SSC) course are offered for candidates who want to become administrative officers in Indian Air Force. Thus, there are five courses for men to choose from AFCAT 01/2014 courses offered. All candidates need to apply for AFCAT 1 2014 exam through online only. Online applications are available in official website of IAF i.e., www.careerairforce.nic.in.